← The how and why of viral content. It was a full house early on Thursday 22nd March to hear about the journey towards better customer experiences. We were proud to host our breakfast event in Westpac’s beautiful new premises at Barangaroo. An exceptional panel of experts were brought together to share a variety of perspectives. In our increasingly digital age and cluttered world of technology and competition, customer expectations are ever-increasing. Each of the panellists agreed that seamlessness is a core part of the journey towards brilliant customer service. Mike Daniels, Founder of the Behavioural Architects, made a critical point, commenting that when we do have a great customer experience we tend to not touch on or comment on the experience because we think that’s way it should be. Cathal Quinlan, Executive Manager for Service Transformation at Westpac brought some fresh ideas to the panel, discussing how Westpac works to engage their employees to achieve results. Cathal maintained that leaders are key players in helping to achieve excellent customer experiences. The panel continually shed light on how important it is to measure employee engagement, and then put in place strategies if employee engagement is low in certain areas of a business. Cathal highlighted that it is essential that employees themselves recognise that they are crucial to the business, as this will inspire them to instil magic in customer experiences. Mike Daniels, furthered this idea by suggesting that sometimes incremental, small changes or nudges towards desired behaviours can have a significant impact on engaging employees to deliver better customer experiences. Based on the diverse stories and experiences of our panel speakers, it became clear that there are many ways to be customer centric and therefore there shouldn’t be a one size fits all approach. Our world is constantly changing and therefore the customer service space is in constant flux. Yet regardless of the change occurring, panellist Sonya Henderson Edbrooke, Director and Chief Experience Officer for Outlier Thinking and leader in design-thinking, believes that the worst thing for customer service is to say you are making a change and then to not deliver it. Panellist, Vanessa Stewart, Head of Customer & People Experience at Lion, emphasised that we must focus less on quantitative and more on qualitative research to measure customer service, as well as observe customers ACTUAL behaviours. Each of the panellists commented on how measures of the customer experience can be biased by the tendency of customers to record ‘peaks’ – this can result in inflated or diminished reporting of customer experiences. We hope these key insights have brought some clarity and can help to improve your customer experiences in your own contexts. Thank you for those that took the time to attend our Loulaki Blue Breakfast, and thank you to the wonderful panellists for sharing their time and captivating insights. The lovely relaxed approach and banter on the panel was facilitated by the incredibly knowledgeable presenter, John Studdert, Founder of 80/20 Advisors, who facilitated the panel discussion and delivered an overall extremely engaging audience experience. 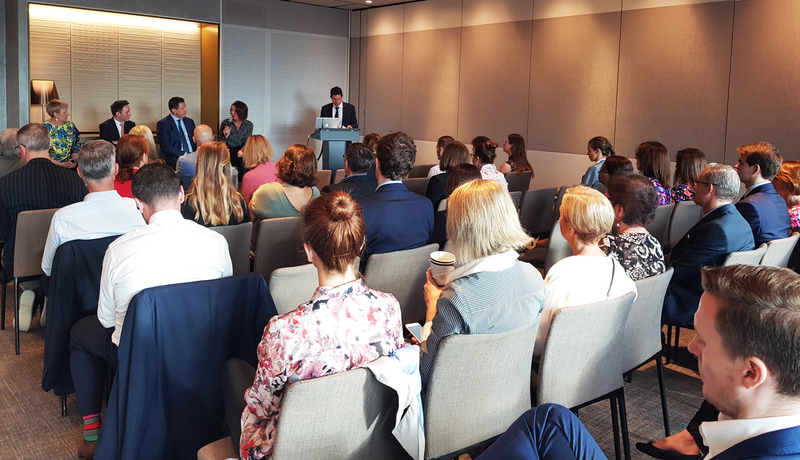 If you missed the event, we hope you’ll join us at our next panel breakfast in September – keep an eye out for the invitation!